Desserts Archives | Food blog! 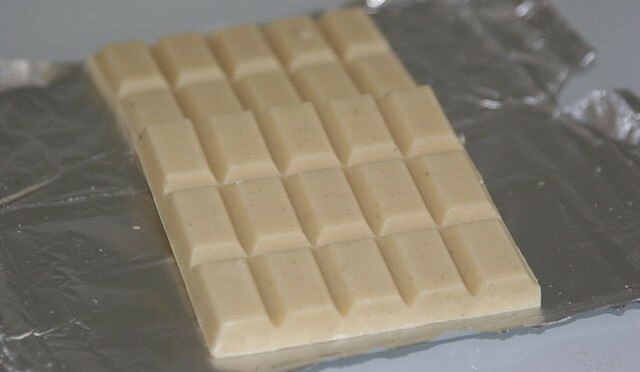 If you’re someone that loves white chocolate, you’ll be happy to know that the recipe to make it is really really simple!! So simple in fact that you can almost make it during a commercial break from your favorite TV show! Step 1. Melt the cocoa butter – the easiest way is to simply but it in a bowl, the heat it up in the microwave! It will melt just like butter (although a little bit slower). Step 2. Slowly stir in the powdered milk & powdered sugar until thoroughly combined. Step 3. Stir in the vanilla extract. Step 4. Pour into a mold! If you don’t have a mold, you can use a silicone cupcake pan, be careful – the white chocolate can stick in a metal pan. Official Girl Scout cookie weekend doesn’t kick off until February 27 through March 1, 2015. During this time you are encouraged to stop by a Girl Scout booth to help the girls raise their cookie earnings to help them fund various deeds and projects throughout the year. What cookies are new this year? Well, gluten free lovers rejoice! Even if you are just on a gluten free, paleo, vegan, or special diet the #fitfam can celebrate this year because the girl scouts are mixing it up and introducing two gluten free girl scout cookies into the line up. There are a total of 3 new cookies being introduced. Breyers ice cream offers a large variety of flavors. The breyers website has an official updated list. Here is the Ben and Jerry’s flavors ice cream list! Watermelon Oreo flavor takes Target by storm! Oreos aren’t the plain chocolate creme-filled cookie you remember from your childhood! Oh no, they aren’t. They are developing and changing with the times. And the newest flavor? One that you just won’t be able to stop thinking about…. Yes, that’s right – Watermelon flavored Oreos! This special flavor is a limited edition release that is made special for summer 2013….and it is sold only – and exclusively – at Target stores. The cookie itself does not contain actual watermelon (sorry!) but rather watermelon flavor, and it is not chocolate, but rather on a golden cookie. The creme filling is not white, but rather half green and half red. Reviews of the cookie so far have been mixed – people that have not tried the cookie say it sounds so unappetizing they won’t even buy it! But those that are brave enough to buy it have been pleasantly surprised saying that the cookie is actually quite good, with claims that the watermelon flavor is not overwhelming at all and blends in nicely with the sweetness of the cookie.